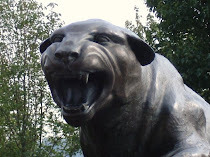 CARDIAC HILL - A Pitt Panthers Blog: Talib Zanna To Get Starring Role? Talib Zanna To Get Starring Role? No one can deny that on the surface, Talib Zanna looks like he's ready to contribute this season. First, Zanna nearly led all Pitt players in rebounding in the Greentree Summer League, averaging almost 11. He also added in about 13.5 points per game. Then came the trip to Ireland where Zanna was again a major factor, averaging eight points and seven rebounds per game. 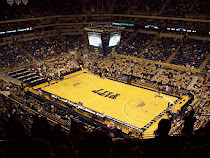 In practices prior to the visit to Ireland and in the five games the Panthers played – all victories – Dixon closely monitored the performance of 6-9 redshirt freshman power forward Talib Zanna and became convinced he’ll help Pitt this season. Zanna might not replace Nasir Robinson this year as the starter at the 4, but if he has a good season, he might leapfrog him next year. But even if Dixon's history of playing upperclassmen shines through and Robinson continues to start, at the very least, Zanna should see his fair share of minutes. I'd like to see him play more than Robinson if he can rebound as well as he appears to be more of a scorer. Darnell Dodson Out At Kentucky?